Birth*: Maria Falkner was born circa 1827 at NC. Death*: Maria Falkner died before 1849 at NC . Birth*: Martha Falkner was born circa 1822 at NC. [S21] N.C. Marriage Bonds unknown file number, #47399. Birth*: Martha Ann Falkner was born on 31 December 1835 at Granville Co., NC. She was the daughter of Ford Falkner and Tabitha Roberson. Death*: Martha Ann Falkner died on 27 May 1909 at Henderson, Vance Co., NC, at age 73 . Burial*: She was buried on 28 May 1909 at Elmwood Cemetery, Henderson, Vance Co., NC. [S21] N.C. Marriage Bonds unknown file number, bond 160716. She was the daughter of Sidney Falkner and Martha Archey Ayscue. She was the daughter of Hamilton Overton Hammie Falkner and Eugenia Alice Hicks. Death*: Martha Rebecca Falkner died on 13 August 1995 at Vance Co., NC, at age 82 . Birth*: Mary Falkner was born circa 1825 at NC. She was the daughter of Marcullis Falkner and Martha A. "Patsy" Clark. Birth*: Mary Falkner was born circa 1808. Marriage*: She married Irby Smith on 4 December 1828 at Person Co., NC. Birth*: Mary Falkner was born circa 1842 at NC. Marriage*: She married William J. Evans, son of Thomas W. Evans and Elizabeth Ann Pascall, on 7 February 1862 at Franklin Co., NC; George W. Hayes was the bondsman for Mary's marriage to William Evans. They were married by James Wilson JP on 7 Feb 1862. [S21] N.C. Marriage Bonds unknown file number, #160842. [S10] Franklin Co., N.C. 1860 Census, pg 497. Birth*: Mary A. Falkner was born circa 1809 at NC. Marriage*: She married Reynolds "Rennels" Burnett on 20 July 1829 at Franklin Co., NC; James Yarbrough was the bondsman for Mary marrying Reynold Burnett. [S522] The Daily Dispatch, 13 Dec 2005. Birth*: Mary Hannah Falkner was born circa 1845 at Franklin Co., NC. She was the daughter of Southerland Falkner and Hannah Howze. She was the daughter of John Wesley Thompson Falkner and Sarah A. Sally Murry. Marriage*: Mary Holland Falkner married Dr. James Porter Wilkins on 8 February 1898. [S1197] 1900 Lafayette Co., Miss. Census. Birth*: Mary J. Falkner was born on 15 July 1870. She was the daughter of William Clark Falkner and Elizabeth Houston Vance. Death*: Mary J. Falkner died on 27 July 1870 . Birth*: Maurice Edward "Morris" Falkner was born on 8 October 1886 at Henderson, Vance Co., NC. He was the son of John A. "Jack" Falkner and Isadora W. Belcher. Birth*: Mildred Falkner was born circa 1812 at NC. [S4] Warren Co., N.C. 1850 Census, pg 6. [S4] Warren Co., N.C. 1850 Census, pg6. She was the daughter of William "Willie" Washington Falkner and Annie Elizabeth Abbott. Birth*: Mildred Howard Falkner was born on 16 May 1916 at Vance Co., NC. 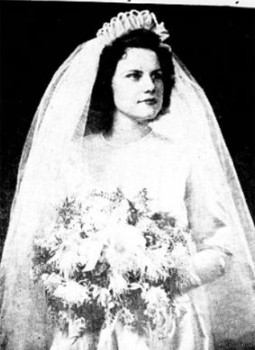 She was the daughter of Noel J. Falkner and Betty Haithcock. Birth*: Milly Jane Falkner was born circa 1823 at NC. [S187] Letter, Maria P. Faulkner to John L. Faulkner, E:Mail dtd 6 May 1997. She was the daughter of Richard Pierce Falkner and Elizabeth Frances Hoyle. (Witness) Death: Miriam Tabitha Falkner witnessed the death of Richard Pierce Falkner on 21 September 1938 at Vance Co., NC; Death Certificate lists his parents as William Henry Falkner and Frances Queen. Birth*: Moses Falkner was born circa 1754 at Granville Co., NC. (Witness) Marriage: Moses Falkner witnessed the marriage of Sugar Forkner and Priscilla Robertson on 6 December 1785 at Warren Co., NC; Suger Forkner married Pricilla Robertson 6 Dec 1785 in Warren Co., N. C. Bond Record signed by Moses Forkner. Death*: Moses Falkner died after 1830 at Orange Co., NC. [S191] Unknown compiler, "Family Tree Maker http://WWW.FAMILYTREEMAKER.COM", Ancestral File, Descendents of William Dickinson.